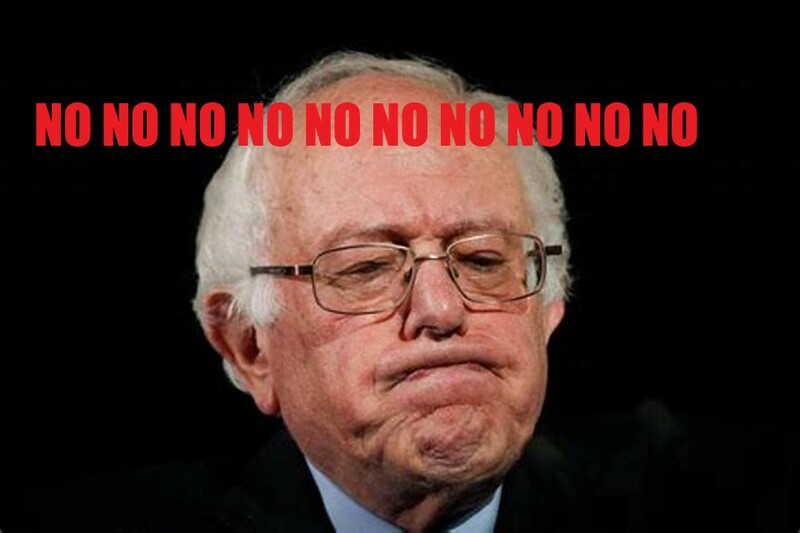 DEAR BERNIE SANDERS: DON'T RUN FOR PRESIDENT » how's your morale? You will not read this, because you are a busy man. As soon as the midterms ended, you were one of the folks most interviewed about what the pretty-good results meant for Democrats. You’ve been defending and rallying your base, and it seems pretty obvious you’re running for President again. Don’t run for President in 2020. As soon as it was called for Trump in 2016, pundits were trying to decide how, who, and what could defeat the GOP in 2020. It is still too early to know the answer to that, although we’d better figure it out soon. As the last two years have shown, a lot can happen in two years! But I do know it shouldn’t be you. It can be someone who shares your beliefs, platform, and emphasis on economic equality. It could also be someone who saw what happened last week and decides a tempered centrism is the way to go. Either way it shouldn’t be someone whose first name is Bernie and last name is Sanders. Why? It’s not because you’re too old, or too crotchety, or too left-wing. It’s because right now, everyone who is reading this is putting their bets on who I supported in 2016’s primary, and forming their attacks or applause based on that assumption. It’s because reading the headline to this article I know at least four of my friends nearly popped blood vessels in their eyes and are bleeding all over their Black Flag T-shirts. It’s because the other half of my friends are nodding smugly eating cupcakes in whatever “co-working space” they do overpaid design in. It’s because 2016 was brutal and the two names associated most with the Democrats, yours, Bernie Sanders, and Hillary Clinton’s evoke the sort of knee jerk, gut churn reaction that can’t be argued down with policy points. It’s maybe not fair, but it’s also true. I don’t think you were a spoiler in 2016; that was Clinton’s race to lose (to Russia? or herself?) and she did. But the bitter arguments, the rifted friendships, the hours people spent screaming into their phone screens, this left a party fractured and anemic. We’re just getting our feet back under us, learning how to present a cohesive vision, and reach across our own aisles on behalf of the people who need us. In the coming years everyone who opposes Trump’s agenda is going to be needed. We need moderates, we need traditionalists, we need urban progressives and rural environmentalists and suburban people concerned about decency. We even need those Republicans who will come around, though I’m not holding my breath. Yes, we need the Left Wing that you represent– and arguably even lefter wings than that. People who push for innovative solutions and don’t settle. People with fight and verve and vision. Perhaps the person who tops the ticket for the Democrats will come from your wing of the party. But it just can’t be you. this has been brought to you by the Department of Futile Requests.